The club needs money to operate. For $30 you receive more than your money's worth. Send Bud Trapp a check made out to the order of WBW. Or bring check or cash to the February meeting. February is your last chance at $30; March 1 it goes to $35. 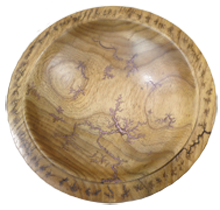 Barry is an old hand at woodturning and platters are a staple for him. Turning a platter is straight forward for most, but watching Barry makes one appreciate the sublties of holding the piece, elegantly removing wood and finessing the rim. Just looking at his finished pieces and the rim catches the eye. His means of mounting for turing the bottom using stretch wrap, if you haven't done it before, made the whole show worth while. Click here for photos of president's challenge and show & tell. Still there is no volunteer to coordinate the rest of this year's programs. Considering this, the board took up the discussion of programs at the recent board meeting. We owe the board members our gratitude, considering they already have much to do. Claude Godcharles graciously offered to demo his foot carving technique at the March meeting (see a photo of his footed bowl on the website). April will be the ice cream social, August the BBQ and December the holiday party. That leaves six programs to plan. Following is a list of possible programs. Duncan MacMillan will pass out a form at the February meeting for you to express your preferences for these prorams. Additionally, be thinking about ideas for professional demos and hands-on sessions. Also, consider sawdust sessions and what level would interest you. 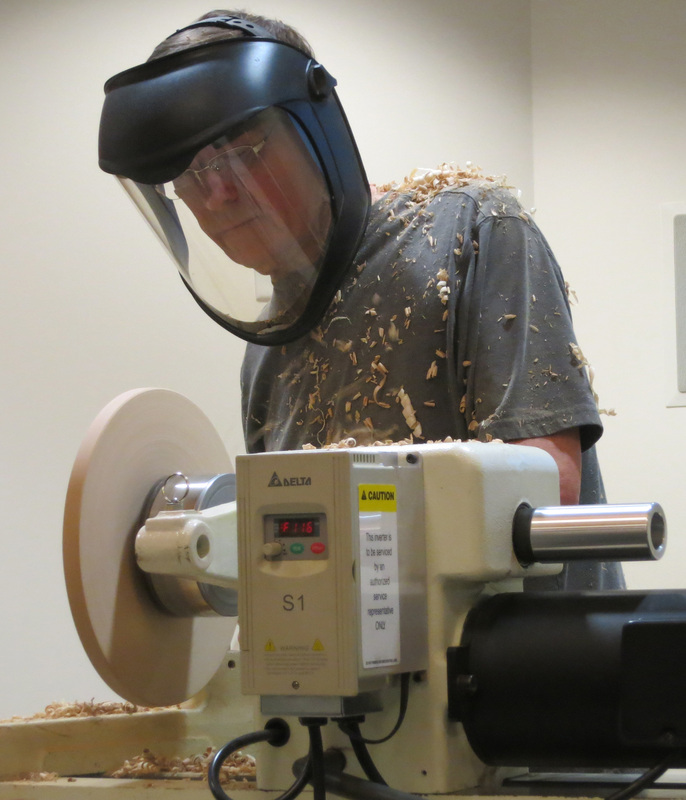 Bob Bley has fielded the idea of having sawdust sessions at his shop. More on that later. • Interested in hands-on demo? 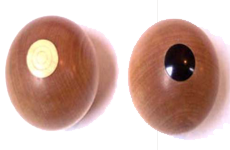 This month's article is provided to WBW compliments of "More Woodturning" magazine. Click here for a printable or readable PDF of the article. This will bring up 'Spherical Salt and Pepper Shakers'.